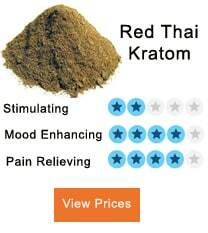 Local media has been creating a negative image of kratom, but it is not going to become the hot party drug. You will not be dancing all night using it, and it does not make you crazy with your friends. 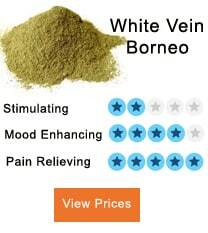 Now, either kratom is being mixed with something else, or it is being promoted dishonestly, and due to that, the negative impact of the plant is being shown through marketing. However, this is a plant that is going to give some benefits to people who are sick and need a better solution. Many people are not aware of the name of this herb which grows in the forests of Southeast Asian countries. Native people have been using the leaves of the plant traditionally for many purposes; energy enhancement is one of the major uses. Restrictions have been made over the use of this plant and Thailand has banned the use of the plant. In Thailand, its popularity is increasing in illegal street brews called 4X100, which should be muddled with 8X100. 4X100 is a blend of kratom tea, DEET, meth, alcohol, codeine cough syrup and sometimes there are few other things added which one would not want to taste. The involvement of DEET or other substances that can be risky has resulted in the death of many people. Reports came from media about such issues that called it kratom madness, and it is the first time that many people have heard about this natural herb. Now it is stuck in their minds as well as the authorities of a few states, who after believing in the media hype and started putting a ban on its sale and purchase kratom. In actuality, the herb is not dangerous if used correctly, compared to synthetic drugs. This plant, when used on its own, does not cause much harm and has not yet caused any deaths, unlike what the media has been presenting. Even when a high dosage criticism which it can control. The Mitragyna Speciosa tree belongs to the same family as the coffee plant. As such, we can conclude about the stimulating effects that the herb can give. 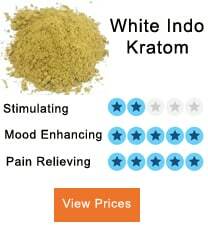 A low dosage of the kratom will be beneficial for the persons using it. The same results that can be obtained from caffeine are obtained by kratom leaves, which eventually boosts energy levels and allows people to work for long periods by making their moods better. The objection which is being done on the plant and its effects are because of its reaction with the same cell receptors that react with opiates, which means the effects of kratom are similar to opiates and cause addiction as well. Withdrawal symptoms are also seen if the dosage is increased, but it can be reduced with a decrease in its quantity. Researchers have also found out that the severity or intensity of the side effects is not similar to opiates. It is not difficult to withdraw from kratom, and it can easily be discontinued, compared to opiates that create addiction problems that can be harmful for the users and even number of people have died due to it. More studies are required to be done on this plant to completely learn about the positive and negative effects. But currently, with the studies that are believed to be limited, it has not been proven that kratom is responsible for any criminal act or death, which means the drug can be very beneficial for people in many ways. Nevertheless, the prohibition of this plant is expected because the focus in the USA right now is on the financial interests of the corporations that are involved in manufacturing the drugs.